The start of a new school year is an exciting time for both students and staff with anticipation of a busy and exciting year ahead. We are also excited to say hello to many new boys starting their Brisbane Grammar School journey. Here at BGS Library we welcome our new students with a comprehensive Library Orientation program which aims to promote library services, introduce the friendly and helpful library staff, our HUGE range of books and graphic novels, and promote the library as a safe space where boys can have fun, quietly read, create and collaborate. With over 100 new Year 5 students across 8 classes Teacher Librarian Ms Palmer introduces the boys to a little game she likes to call ‘Escape the Library!’. 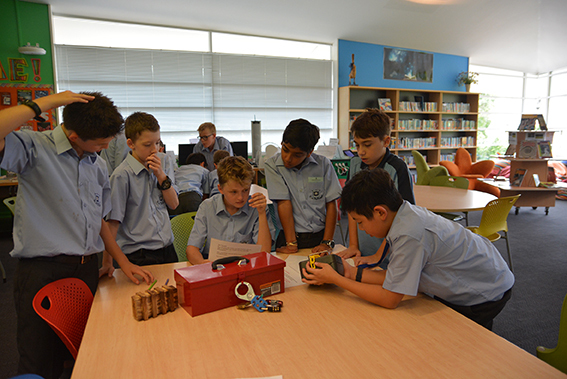 Teams of boys are challenged to solve puzzles, find items and decipher codes that teach them about the essentials of the Middle School Library such as how to find books on the catalogue, how our Library Management System works and the exciting events that boys can be apart of throughout the year. As boy’s race to the finish line their excitement is palpable as they finally unlock all 5 locks and open the big red box. Over in the Centenary Library Teacher Librarian Ms Smith alongside her popular and much loved CLIB mascot Grumpy Cat runs ‘Library Smarts’ for over 250 Year 7 students across 9 classes – with some brand new to BGS. 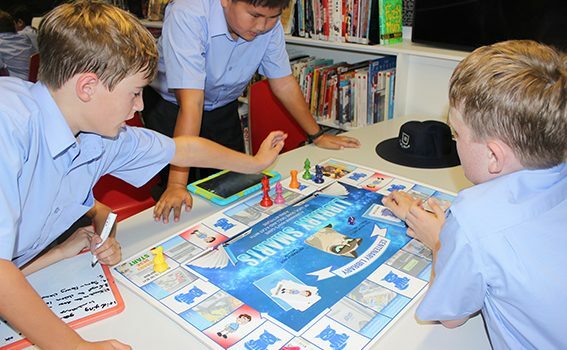 ‘Library Smarts’ is a specially designed board game that introduces the Year 7 boys to the expectations of moving into this new space and giving them the ownership of creating a positive framework of Centenary Library guidelines that students and visitors follow when using the library. 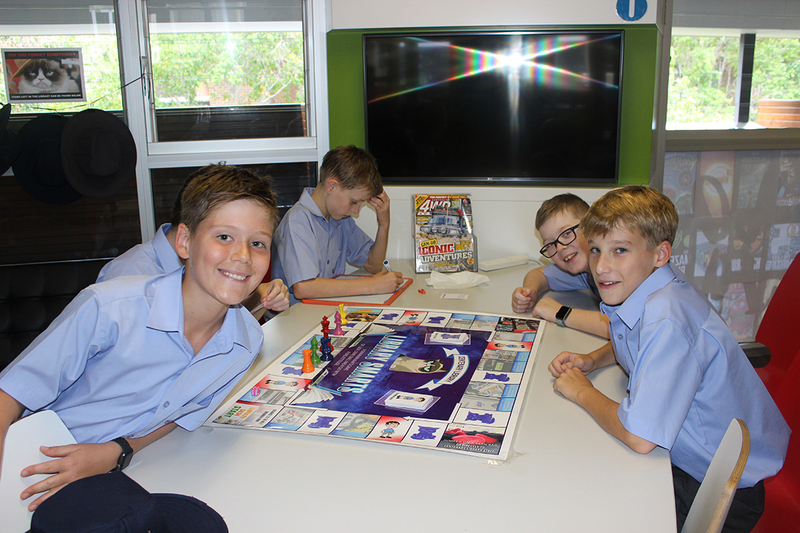 After being divided into team’s students roll the dice to move around the Monopoly-like board, getting tips from Grammar Man and Grumpy Cat along the way and completing photo challenges using iPads. As the boys move about their new library familiarising themselves with what and where everything is team work is paramount for collecting clues and sharing them with team mates. After 9 classes Ms Smith was especially impressed with one particular Year 7 team who managed to create a massive 42 guidelines for implementation in the Centenary Library. Well done boys! 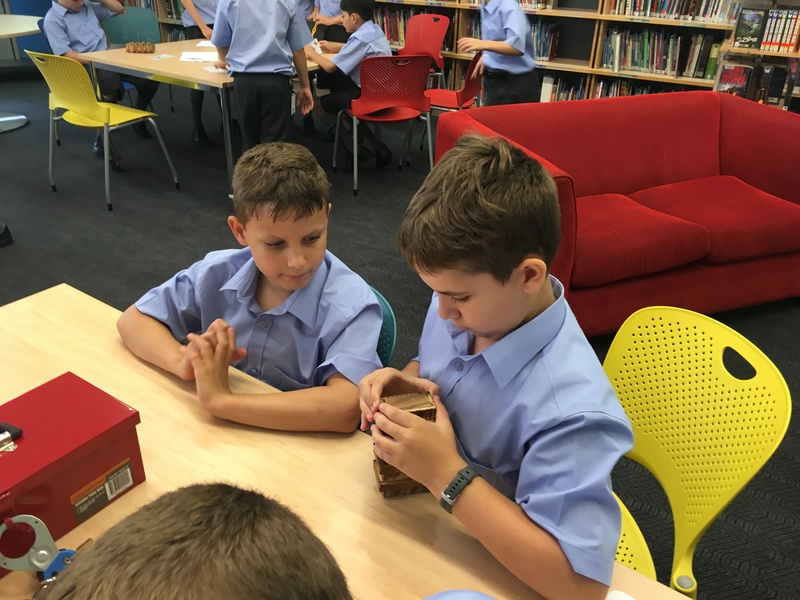 Valuable and exciting library lessons like these allow our Teacher Librarians to capture these boy’s imaginations and actively engage them with the learning process through play. Using gamification methods like these also help build their non-cognitive skills that are just as fundamental for a student’s learning and success throughout their education. The middle school years are a crucial time for cultivating students’ readiness for future success both in and outside of school. Now more than even, preparing students to live as citizens of the world is an important task for educators and parents. Social, creative and emotional intelligence are key ingredients to an individual’s ability to flourish and make meaningful contributions in their community. With Term 4 already here, Middle School students returned to school excited to be participating in their second Signature Program for 2018. 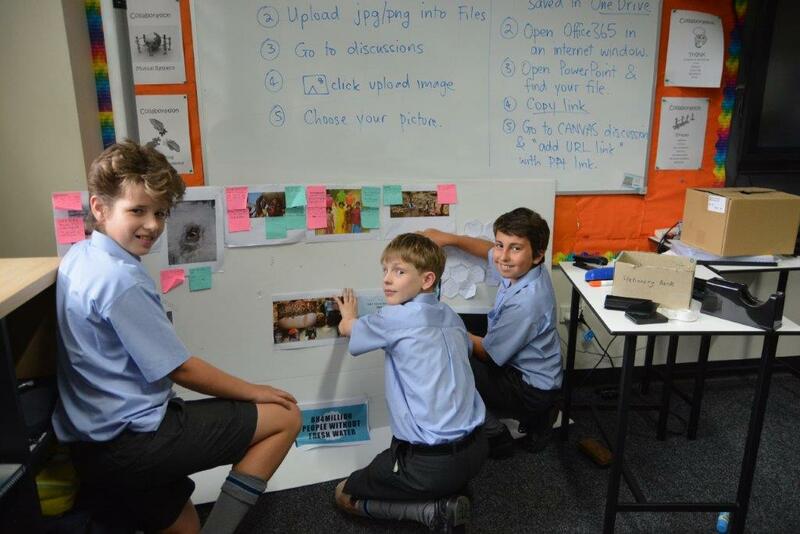 As students immersed themselves in their chosen endeavors – be it literature, media or social activities, real-world scenarios were given to the students to collaborate on and imagine the ‘What if?’. Year 6 students chose to take on the weighty topic of Think Global, Act Local where issues such as Poverty, Children’s Rights, Fair Trade and Sustainable Development were unpacked, work-shopped and then presented back to their peers for feedback and buy-in as a TV or radio ad, or print campaign. Integral to contemporary life is the ability to understand and utilize media both as creators and communicators. The Director’s Cut signature program gave boys critical hands-on experience in documenting other signature programs around the school. 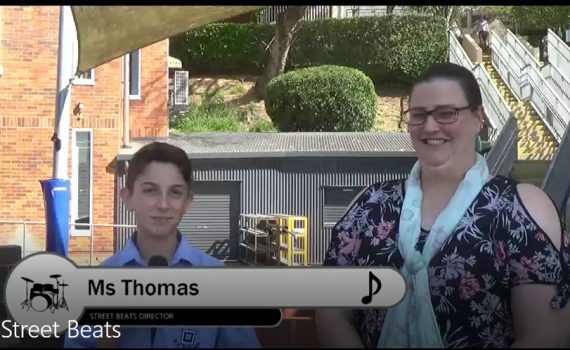 Student’s formed teams, filmed and edited their footage with the goal of each video to be captivating, entertaining and educational, and leave its viewers in no doubt as to the value of the programs being offered to the students. The Year 7 Signature Program that ran in the library was called Stories in the Wild. Students were given the task of writing a 6-part story as a group of 3 to be presented at the end of the week. Students started the program by discussing writing and team building techniques to practice during the week. They then headed out on a scavenger hunt which involved collecting feature items that students had to incorporate into their story. Other requirements included; BGS had to be woven into the story, and each section of the narrative had to showcase a different text type and be rendered in a different media. After the 4 days students were excited to share what they had created and learnt with their peers and teachers. As well as walking away with many new experiences and skills our BGS Signature Program gives our boys exposure to creative thinking, develop leadership skills, and build confidence. It also aims to nurture friendships outside their own peer groups and equip our students with skill sets to seize every opportunity. 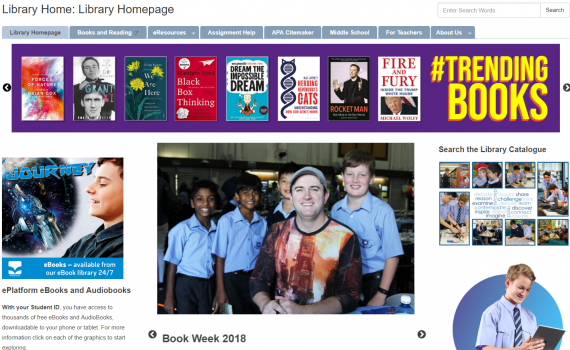 We’ve been hard at work since the start of the year refreshing our library website to make it more appealing and accessible to our students as a go-to destination for their studies and reading enjoyment, and easier for library staff to share the valuable resources that will help students with their assignments. 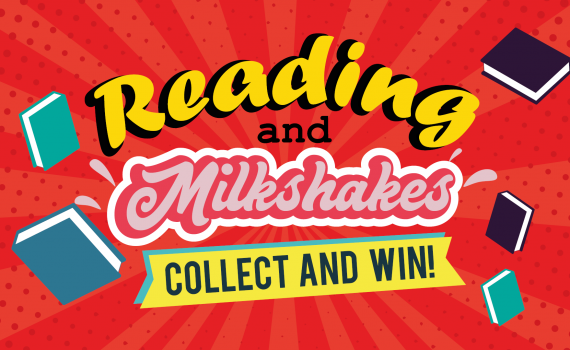 Our revamped site has an exciting new home page design with more up-to-date content, recap of events and activities as they happen, links to our eBook and audiobook suppliers and general information we think users should know. 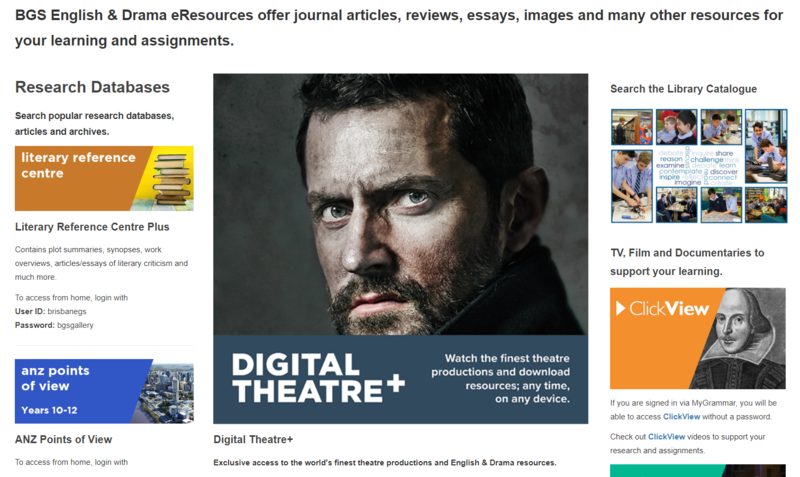 Based on feedback we have given the eresources space a much needed face-lift. 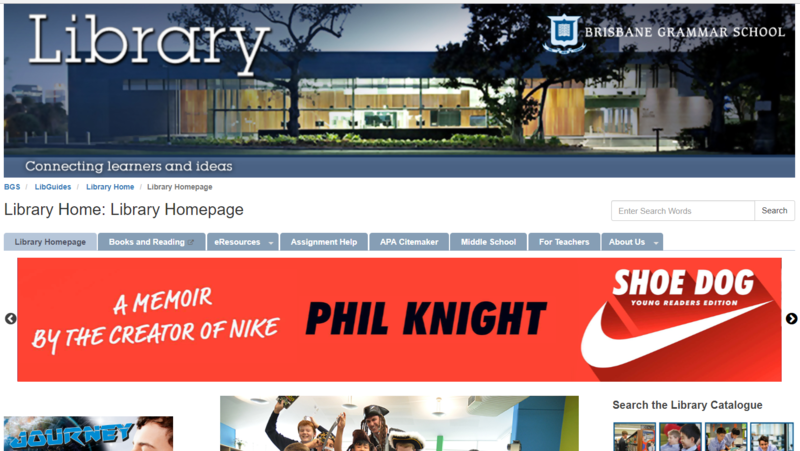 When student’s login into the eresources tab they will see that each subject has had its individual page updated with new click-through graphics for each corresponding subject databases, updated ClickView and EnhanceTV graphics that are now single sign-on for ease of use, and articles that we think are crucial reading for understanding the subject. The presentation of these valuable services allows the students to navigate them with ease while making more informed decisions when it comes to analysing the information they find. We are also featuring new books in our homepage’s hero headers. These are books that we feel are essential reading for both students and staff. Perhaps they have won awards or are considered classics in the literature world. These will be updated weekly so be sure to check back regularly so you don’t miss our picks and Monthly Top 10’s. We are continually working on the site so be sure to watch this space! We also welcome your feedback (suggestions, complaints and compliments if you have any 😊) so please send an email to library@brisbanegrammar.com, or come and see us at the desk. Your feedback will help us improve the site for everyone.